Having touched the lives of thousands of believers and families through the Secrets films, we started to think outside of motion pictures and think about the other group in our audience that prefers to dive into literature and get cozy on the couch with a cup of coffee (or tea, if you're already well caffeinated at this point). Being a life-long writer, Brittany Goodwin decided to set out on a journey that was 15 years in the making and write her debut novel - a story that she had been conceptualizing and piecing together in her mind since she was 14 years old. After almost two years went by, Brittany finally had something she could distribute and market to publishers and agents alike. It's every author's dream to get a book deal right?...wrong. Every author wants to maintain the integrity of their stories, their characters, the struggle and happiness they experience - and some publishers can get sidetracked about what that vision entails. After many cups of coffee, long discussions with colleagues and family, Brittany decided it was time to take creative control of the publishing process and start Edge of 22 Publishing. We wanted the name to reflect the "cutting edge," created for teens, young-adult and new-adult readers trying to connect to similar-minded characters. Stevie Nick's song "Edge of 17" kept popping up in our heads but he decided to steer clear of any of those associations and branch out on our own. The average young-adult reader is somewhere between 14-30 years old now so "22" seemed to be appropriate. 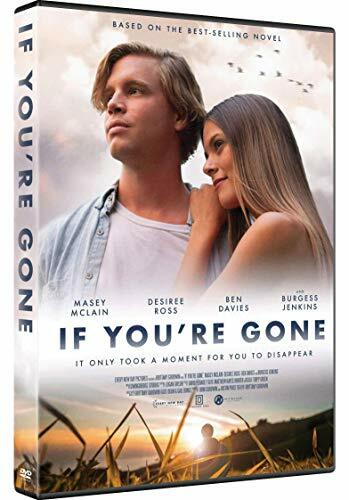 Brittany's debut novel, If You're Gone, was released to the public on June 20th, 2016, and was received with tremendous support and praise, earning a Reader's Choice award and was featured at the 2017 Southeastern Young Adult Book Festival. Readers were sending her messages on social media telling her how excited they were to read the "Hidden Chapter," an exclusive treat for readers that made it all the way to the final pages. To read more about Brittany's artisitic journey and purchase the the novel, visit her personal website and search for the book on Amazon, Barnes & Noble, Good Reads, and more. You can also purchase the book through Edge of 22's online store. Newer PostOfficial Cast Announced for "If You're Gone"